The Mar do Guincho Restaurant makes the perfect place for a stop en route between Portugal’s capital, Lisbon, and the Cascais/Sintra area right on the country’s western tip. 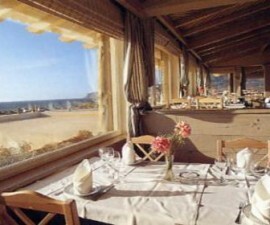 The Mar do Guincho Restaurant could not be located in a more dramatic or romantic setting. Perched right on a cliff top overlooking the famous Praia do Guincho, or Guincho Beach, with large windows providing sweeping views out to the Atlantic, this is the ideal location to enjoy a lengthy lunch or leisurely evening meal to the rhythmic sound of the Atlantic waves breaking gently on the beach below. The dining room is clean, light and airy, with a focus not on designer décor but on creating a calm environment that perfectly sets off the sought-after location of this Casicais eatery. Wide glass windows line the restaurant and all the tables are either window-side or orientated to maximise the panoramic views. 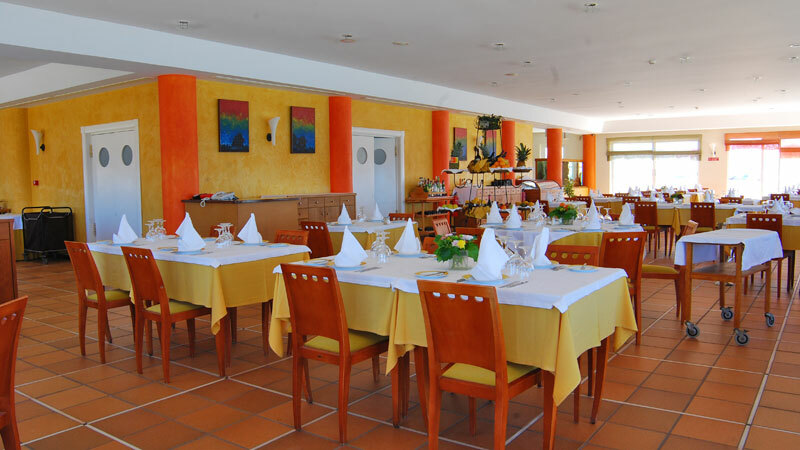 The Mar do Guincho Restaurant has the largest capacity of any restaurant in the Cascais area, making it a popular location for groups and family celebrations whilst still being a lovely setting for a romantic meal for two or a deal-clinching business meal. Despite the restaurant’s size, however, the waiting staff and sommelier still manage to be helpful and attentive, happy to make suggestions for food and wine that suit diners’ individual tastes and requirements. 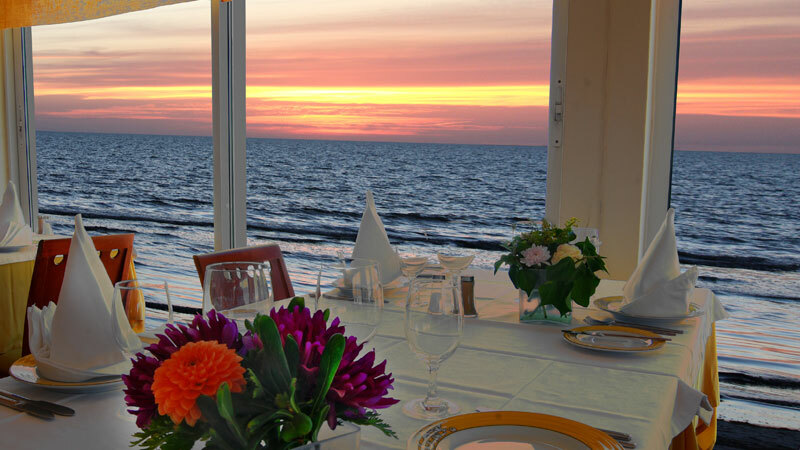 As with many restaurants in this coastal area of Portugal, the focus is on fresh fish and seafood, cooked simply and to perfection. 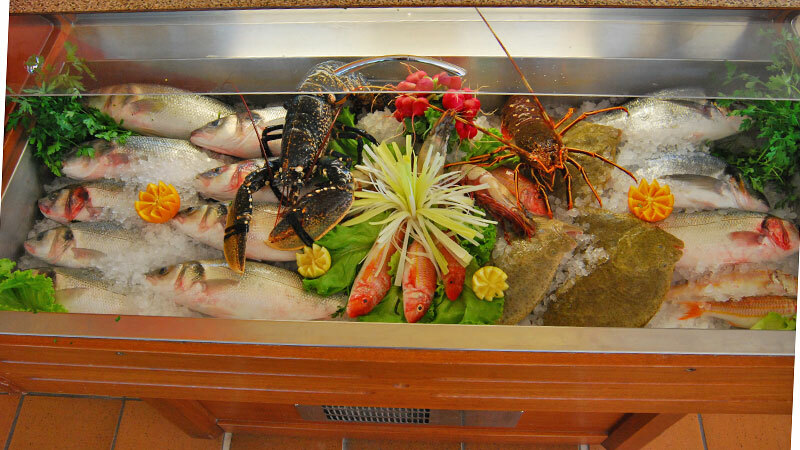 In addition to the daily supply of a fresh catch, there is a vivarium from which diners can hand pick their own fish and seafood, including delicious fresh lobster and crab. Start your meal with Portuguese classics such as Smoked Loin, Octopus Salad or Shrimp in Vinaigrette before moving on to sample one of the fish or seafood specialities. Clams are something of a national favourite, particularly in coastal locations and the Mar do Guincho Restaurant offers them deliciously prepared in several styles as well as a range of tiger prawns, crabs and lobster. Opt for the Special Seafood Platter or Lobster in Mar do Guincho Style for something a little bit special before sampling the delights of the dessert trolley to complete your meal. Meat eaters will not be disappointed with the range of steaks, lamb and pork dishes on offer here, but if fish and seafood are your thing, this is the place to eat them. 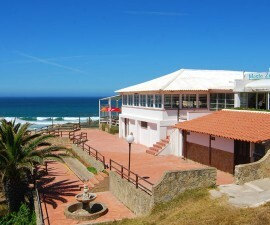 Given the setting, tasty cuisine and attentive service, it is no surprise that the Mar do Guincho Restaurant featured in the 2010 Michelin Guide. 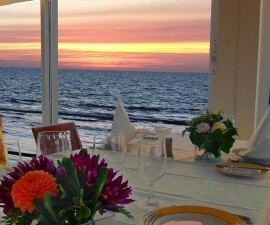 Expect to pay around 25 to 30 euros for a main course. Plenty of parking is available in the restaurant car park and the venue caters well for the disabled.